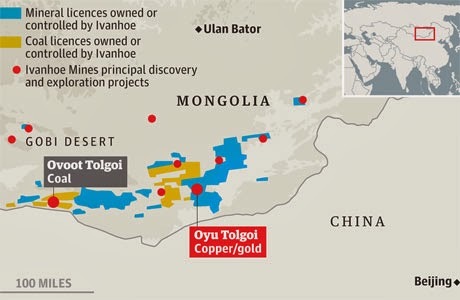 Mongolia faced a lot of setbacks in the recent past due to several wrong steps taken by the government in the mining sector. Mining sector constitutes almost 20% of the GDP and hence the drop in revenue from the mining sector affected the entire economy badly. The foreign direct investment in the country has fallen by 47% and the currency faced a depreciation of 20%. However, the government could rise to the occasion and it brought a new law aimed at promoting new investments in the mining sector. The new law has been approved by the parliament and at the same time country’s cabinet has approved several crucial changes in the 2012 Strategic Entities Foreign Investment Law to make the things smoother. With this amendment the uncertainty surrounding the taxes and royalty has been removed and the picture became clearer now. Besides, the differentiation between the domestic and foreign investors has been removed. According to the Mongolia Cabinet Secretary, this move will be a turning point in the history of Mongolia. As the country has a great treasure of different metals, minerals and coal, this new law will help the country to attract good foreign direct investment and the same will certainly change the fate of the nation. Although the new law has been welcomed widely by the mining industry, still there are issues to be solved to take full benefits out of this law. 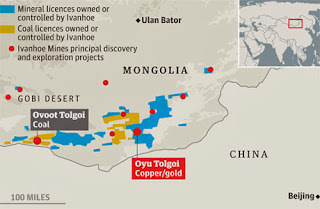 Second phase underground development of Oyu Tolgoi, the largest copper mine has been stalled due to different reasons. Similarly the license of Vancouver based explorer Entrée Gold has been cancelled during last February and the talks are still going on that. There are several more instances like these which may pull back foreign investors. However, government is keen to solve all those issues as fast as possible.